ON Aug 14, Pakistan will celebrate its 71st birthday. It will be a day to haul up the national flag, and, as the septuagenarian Omar Khayyam once wrote, time also “to haul down the flag of hypocrisy”. Before cutting the cake, though, it might help to peep inside the kitchen. All 105.96 million Pakistanis eligible to vote in the 2018 general elections expected that the Election Commission of Pakistan would conduct them in an orderly, professional, and efficient manner. After all, hadn’t the ECP assured us after the 2008 elections (the ECP released its report three years later, in July 2011) that, assisted by UNDP, it had commissioned a Computerised Electoral Rolls System (CERS) at a cost of Rs249m from a Pakistani consortium M/S Kalsoft JV? We should have taken notice at the time, when the CERS voters’ list showed 54m voters, and when within 15 days, another supplemental list was generated outside the CERS that added 27m more voters. The final tally of registered voters peaked at 84m. On election day, the turnout was 55 per cent. From such miscounted acorns do electoral majorities grow. Why are electoral costs expected to soar? Five years later, the ECP report on the May 2013 elections (released in June 2016) disclosed that the registered number of voters had increased to 86m. It held out that “the ECP had designed, developed and implemented the first ever comprehensive Result Management System (RMS) with the support of UNDP”. Touted by the ECP as a “significant achievement”, the RMS would cover results from 69,000 polling stations (ie “over 90pc”). To ensure smooth operations, ECP-UNDP used 3,000 master trainers to educate “644,000 polling staff including 70,000 Presiding Officers”. The ECP convinced us that “arrangements were also made to upload preliminary results on the ECP’s website as soon as these were received in the Central Control Room set up in the ECP Secretariat at Islamabad. The ECP had finalised well in advance the methodology of collection, dissemination and announcement of preliminary (unofficial) election results”. 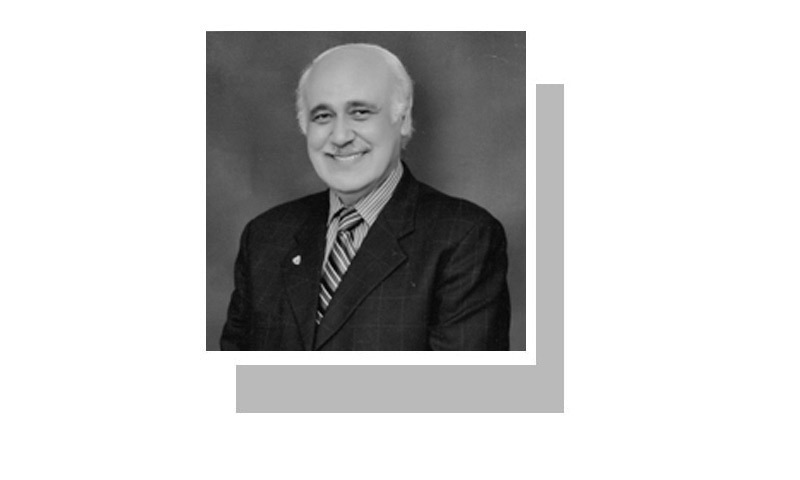 When the 2013 elections were announced, no one had any reason to suspect that the ECP was not ready and equipped to perform its statutory obligations. Should we have doubted the ECP’s intention “to have an efficient, swift and credible result communication system”? Or its seductive reassurance that it was all too aware that “one of core features of elections in Pakistan was that preliminary (unofficial) results are announced immediately after the completion of polling, followed by announcement of consolidated results by the ROs”? In February 2018, the ECP announced that it had signed an agreement with Nadra to prepare a Result Transmission System (RTS). It never explained what happened to CERS or RMS. The new RTS was supposed “to enable Presiding Officers to transmit result to Returning Officers and Election Commission in real-time”. We accepted that declaration at face value, just as we did Imran Khan’s disclosure that the COAS “stands by democracy”. Would it be indiscreet now to question why the cost of conducting our general elections should have ballooned from Rs1.85 billion in 2008 to Rs4.73bn in 2013? Or why the estimated cost in 2018 is expected to be Rs21bn? Embedded in those figures are amounts paid to DROs/ROs under euphemistic headings. In 2008, the ‘Election Allowance/Diet’ was Rs 408m. By 2013, it became an ‘Extra Duty Allowance/Diet Charges’ and had put on weight to Rs1.108bn. Another figure that invites attention in the ECP reports is the amount paid to the armed forces for their assistance. In 2008, the army was paid Rs120m, and an additional Rs4.6m for the airlifting of ballot papers to remote areas and for additional security. In 2013, the ‘Allocation to Army for General Elec­tions/By-Elections’ was Rs 758m and ‘Air Lifting of Ballot Papers using C130s and M17 helicopters’ cost Rs 78m. For the 2018 elections, the ECP has revealed that the Ministry of Finance paid Rs9bn in overall security expenses, in large part because of the increased number of serving personnel plus reservists. Perhaps, for cost-conscious voters, the Election Commission in its report on the 2018 elections (don’t expect it earlier than 2021) might include the actual cost per Pakistani voter per constituency. Despite this planning, effort and expenditure, the general elections of 2018 have left the nation in a sad quandary. The contesting parties are still squabbling over the veracity of the results. On Aug 14, they will raise the same flag but on different flagpoles. The 2018 election already has a similar reputation.